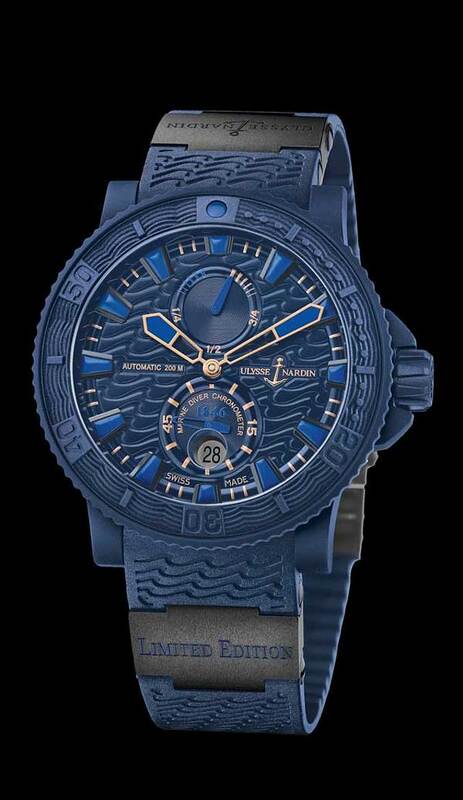 All blue with rose gold accents, 45mm, hi-tech vulcanized rubberized case, 42 hour power reserve indicator, and date. 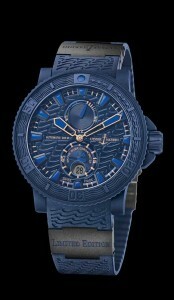 Exhibition glass back, with visible Ulysse Nardin name and anchor logo. Available on matching blue rubber strap, with ceramic folding buckle.